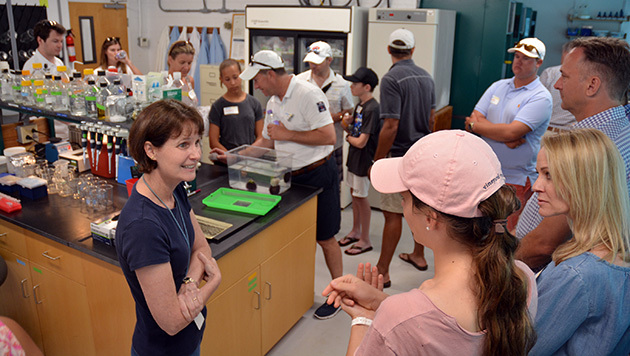 More than 50 people spent April 29 at BIOS during the Young Presidents’ Organization’s Family Day, providing an opportunity for the Institute to highlight research and education activities. 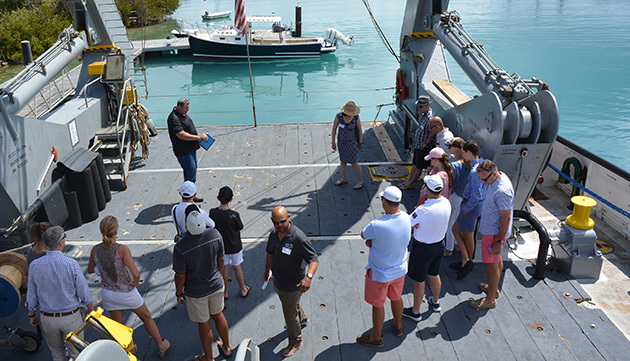 The event included tours of BIOS’s research vessel Atlantic Explorer (by captain George Gunther pictured above); BIOS faculty member Andrea Bodner’s science laboratories (pictured below); and the MAGIC Room, for a brief talk by Institute director Bill Curry and a look at the glider program. BIOS director of corporate and community relations Mark Guishard collaborated on the event with Andy Smith, founder of Ocean Tech and its finance director. 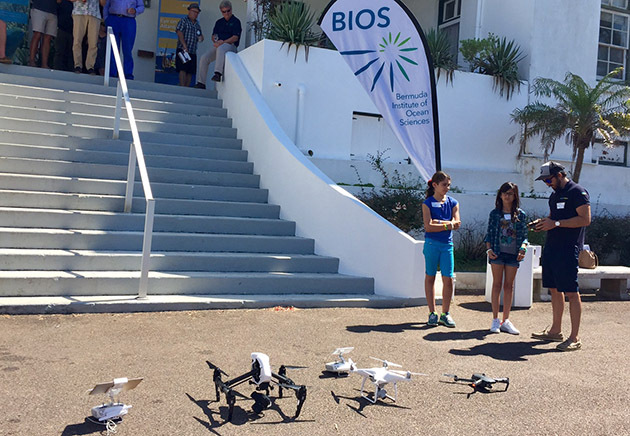 Other participants included John Singleton of Above Bermuda who demonstrated his collection of 5 drones and their capabilities on the driveway in front of Wright Hall (pictured below).